This is probably my favorite Pilot/Namiki pen, I have used it nearly every day for the past fifteen years. 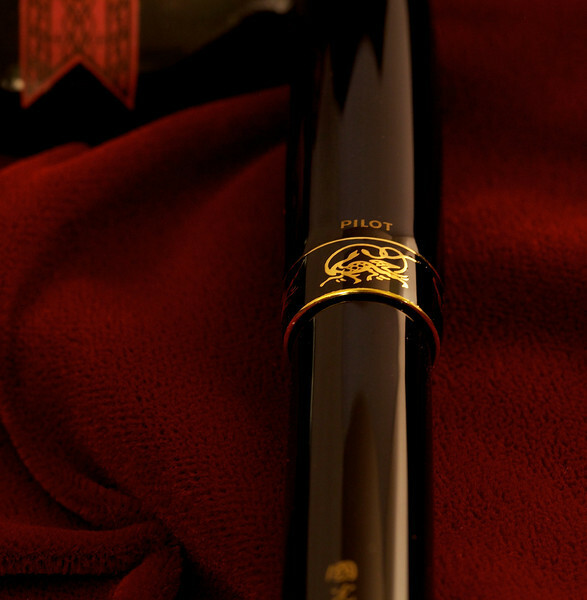 It was issued in 1998 as a limited edition of 1918 pens to celebrate Pilot's 80th anniversary. 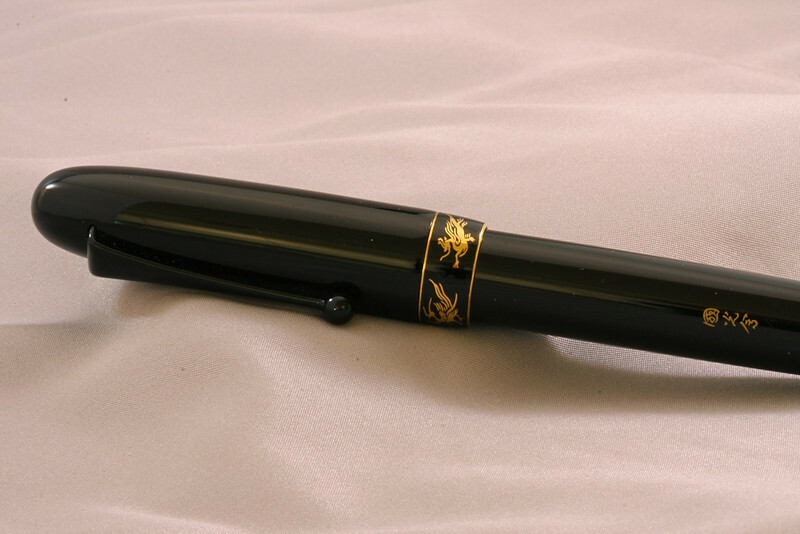 The roiro-nuri urushi jet-black lustrous finish is flawless and I am afraid my photos don't really capture the beauty of the pen. A cool feature is that the clip is also finished in black lacquer. 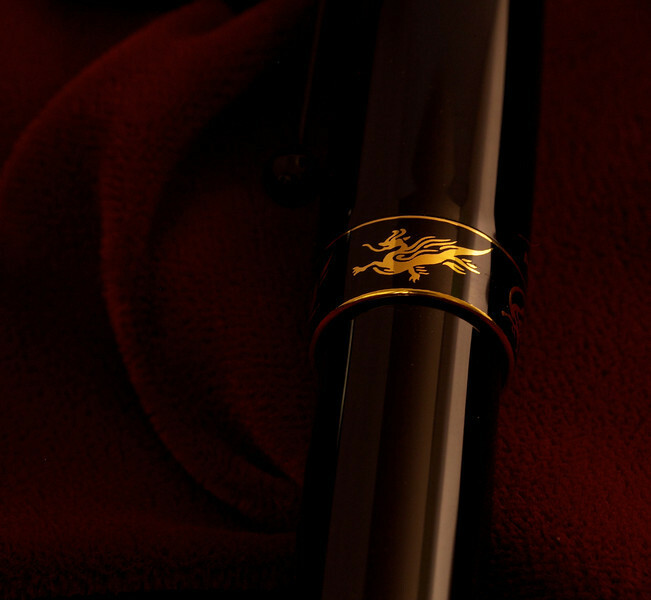 The decorated band at the bottom of the cap lends interest and makes this more attractive in my opinion as compared to the current Namiki urushi yukari royale pens which are otherwise very similar to this one. 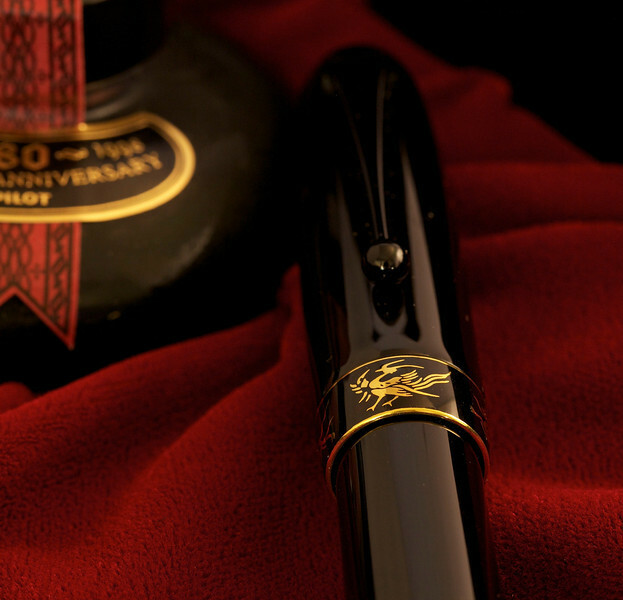 The pen came in a large, gorgeous black lacquer box that included a leather pen case, writing paper, and an 80th anniversary ink bottle. The shijin came with either a medium or broad 18K nib. I have the medium and it is a typical Pilot nib, extremely smooth. Performance has been flawless, never skips, writes instantly even when unused for weeks. 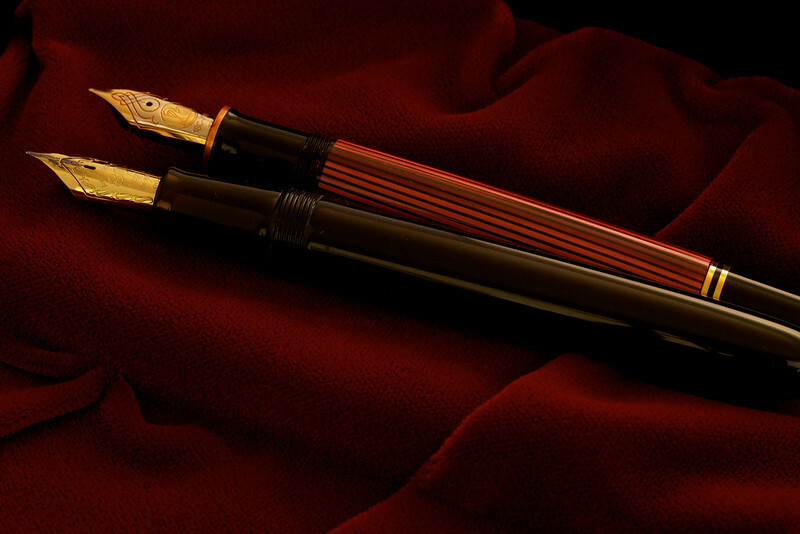 This is a pretty large pen (yukari royale size), nearly 6 inches long capped, slightly larger than a Pelikan M-800. 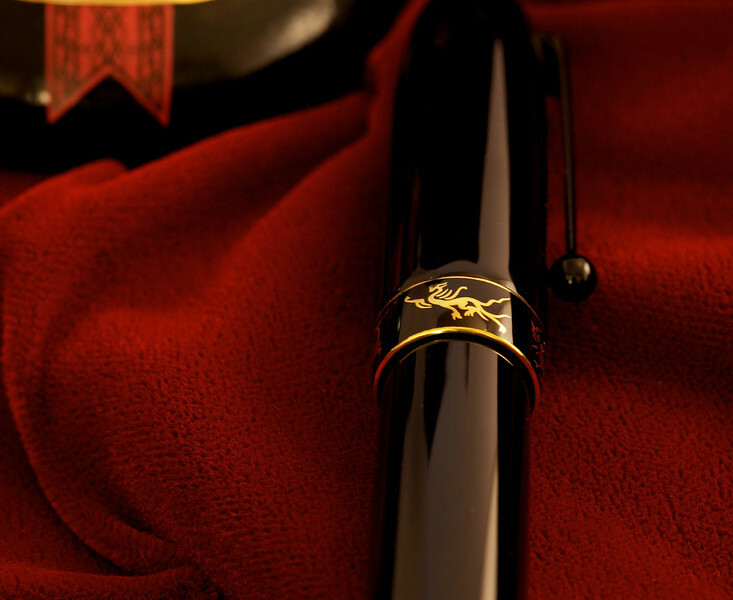 Urushi lacquer on a brass base, so it is distinctly heavier than (for example) a Nakaya of the same size. Quite well balanced though so I don't find it tiring using it and the weight gives it a very substantial feel that I like. Edited by RLD, 04 March 2013 - 14:22. Thank you for sharing the pictures of your Pilot pens in your posts. They are very beautiful and the photography captures the pen nicely. I especially like this pen's understated design. The lacquered clip adds a nice touch to the pen. Edited by JustinJ, 05 March 2013 - 13:23. I have also this 80th Anniversary pen. The taste of the #20 nib is like a writing brush, and one of my most favorite pen. Nice pen. It would be nice if you also have the red version to make a pair. Magnificent pen, thanks for pics. Yes, the red version is pretty interesting too, it has a red feed! It just didn't get me very excited though. Thanks for bringing up the red version, I should have mentioned in my original post that the 1918 shijin pens comprised some in black and some in vermilion. I greatly preferred the black myself. 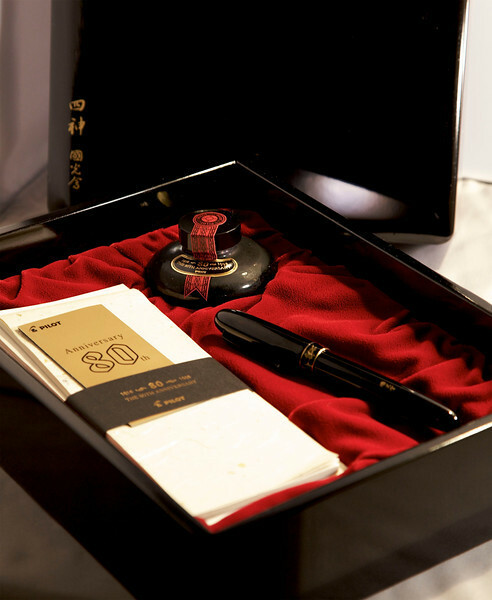 Also issued at the same time was the 80th anniversary "Miyabi Pen Set". This comprised three really spectacular pens each featuring a variety of different maki-e techniques. They were about the same size as the shijin pens, and also came in a beautiful large two-piece black lacquer box. The three designs were bugaku by Kyusai Yoshida (70 pens), kai-awase by Yasunori Sakamoto (55 pens), and soshi-e by Masaru Hayashi (65 pens). Each was 800,000 yen list (originally), considerably more expensive than the shijin pens. I regarded these more as objects of art rather than writing implements, and even aside from the price, wasn't interested as I just couldn't imagine inking one of these beauties and I like to actually use all of the pens that I buy. Thanks for the great photos. I have the vermillion and wondered about the band markings. Appreciate the info and find it was a difficult decision to select from the vermillion or black as well. Already have the black royale std edition so it was a little easy. Have not seen anyone else with one so its nice to see its black counterpart. Agree with your assessment of the writing qualities; well cut and finished nib, impeccable finishing, perfect writing performance. Hope u enjoy yours for many years. Thanks Brian. 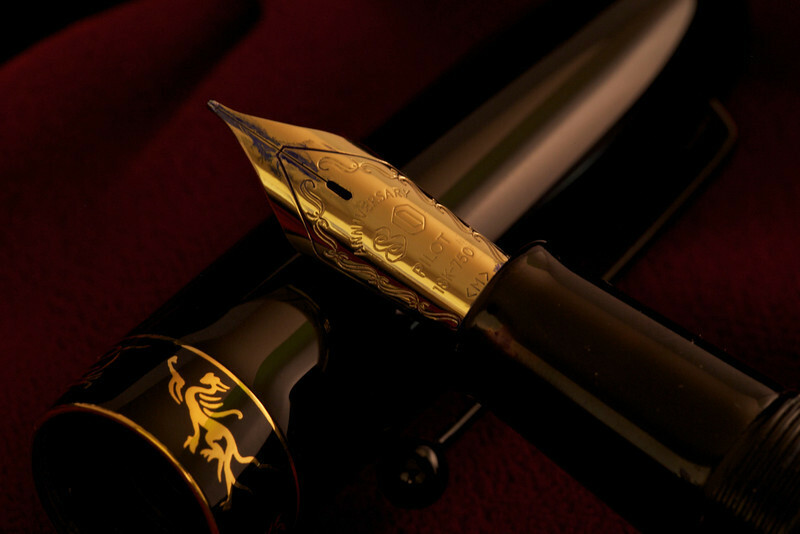 As you have one of each, can I ask how does the Shijin LE compare to the "standard" urushi yukari royale pen? Are they essentially the same except for the decorated band and lacquered clip on the Shijin?